L-R Thea Jeanes Cochrane and Tony Cochrane exhibition originating Producers on the Red Carpet at The Rolling Stones Exhibitionism Opening at ICC. Pic Chris Pavlich Photography. 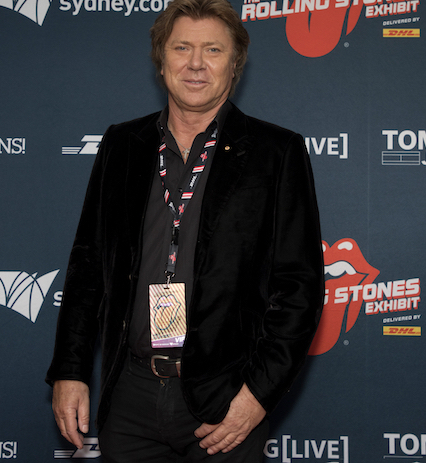 The International Convention Centre Sydney, over 200 VIPs – from Australian music industry luminaries and rock history commentators, through TV and radio personalities, to famous faces of sport and the arts, along with city executives – celebrated in style at the red carpet official opening of EXHIBITIONISM – The Rolling Stones Exhibit.